Need better communications between your employees? 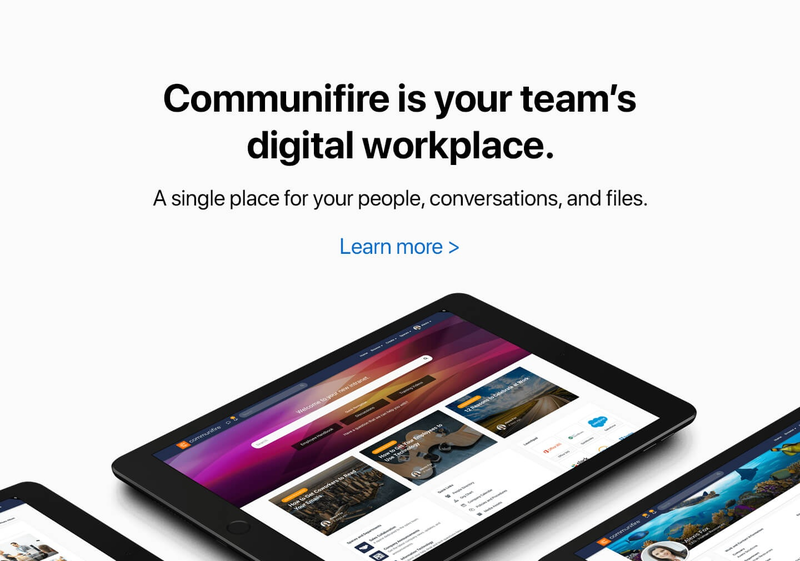 Communifire helps your organization communicate and collaborate better than ever. Fuel your internal teams. Transform the Way Your Company Does Business with Communifire's Internal Communication Solution. Does your company's communication platform meet the changing needs of your business? Are employees struggling to stay informed, motivated, and engaged with corporate content? Revive your business' communication platform by implementing a new way for team members to collaborate from anywhere at any time. With Communifire's innovative internal communications software, you're able to provide positive internal communication examples to everyone within your organization at the touch of a button. Increase productivity, improve efficiency, and deliver exceptional service to clients when your business is equipped with communication tools of the future. Prevent interrupted work flows, misinterpreted messages, and lost memos when you unite corporate communication in one easily accessible, virtual space. When collaboration is instant and project management is streamlined, your team is prepared to achieve business outcomes while encouraging company-wide harmony. Learn how Communifire's platform and internal communication examples can help your business excel. Internal Communications Examples Available in Communifire. Communifire Lets You Have More Engaging Communications. Publish internal or customer-facing web pages to promote cohesion in brand messaging while communicating key business functions. Whether you need a simple way to convey the nuances of a project or want to clearly communicate new policies and procedures, communication is convenient and instant. Unite individuals, teams, and departments regardless of physical location with virtual work spaces. From working on a marketing initiative to creating quarterly reports, customizable work strations create the perfect place for team members to stay organized. Conceptualize new projects using Ideation, a convenient place to share ideas and model positive internal communication examples. Brainstorming among team members or pitching a new idea to a client is fun, engaging, and easy with Communifire's unique collaboration tools. 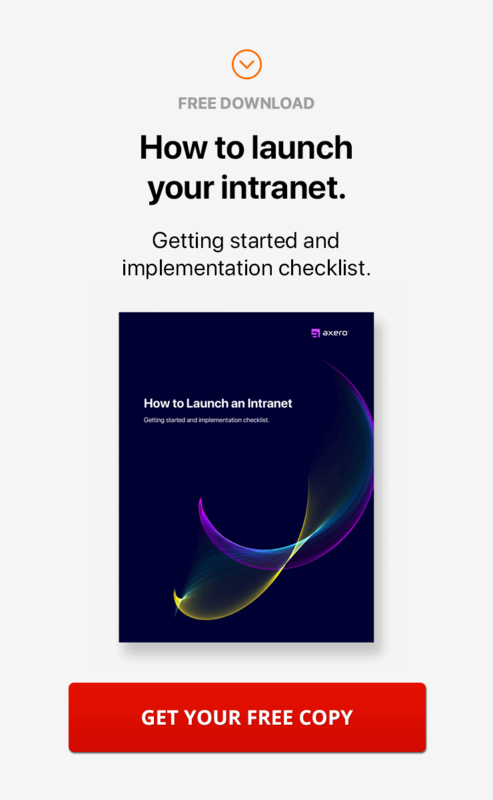 Innovate your internal training process for new and existing employees by incorporating different media, from images and work sheets to video and Wiki pages. Whether created for training or as an internal database of helpful information, digital content can be tailored to suit different purposes. Access any member of your organization at any time using employee profiles and groups. From direct messaging to automatically updated activity streams, monitoring progress and resolving concerns is effortless. Equip every department, from human resources to IT, with efficient, customizable work flow tools. Using the Case & Issue Tracker, departmental teams can adjust controls to fit specific needs, such as customer complaint resolution, technical error reporting, or project management. Funnel both internal and external communication through one platform using Communifire. Create online communities, detailed FAQs, and customer-facing pages without wasting time and resources on multiple tools.